Being Chinese in Quebec: A Road Movie. The characters of road movies are typically carefree, wild types looking for adventure. Rarely do they set out on the open road with a goal in mind. In a new documentary Being Chinese in Quebec: A Road Movie, Parker Mah and Bethany Or hit the highways of Quebec with a very distinct goal—to explore the diverse Chinese community. As they travel from city to city they ask what it means to juggle being both Chinese and Québécois. Originally the documentary was suppose to be about the Head Tax and the Exclusion Act, which the Canadian government originally put in place to limit Chinese immigration to Canada. It wasn’t until 2006 that the government formally apologized for past injustices. The film’s director, Malcolm Guy, wanted to survey the community’s response in the wake of the apology. Mah put it a different way. “If you are going to do a film on the Head Tax, it’s going to be a quick one because not many people know about it,” Mah said. “The film eventually morphed into finding out about more general issues surrounding Chinese Quebec identity, and trying to understand why people come and stay here,” Mah added. The documentary was also an opportunity for Mah and Or to open up about their family history, and how they self identity. Or has settled on calling herself Quebecois, which she jokes was decided after meeting a Chinese woman who has only lived in Rimouski for two years but identifies as Quebecois. Opening up on camera was a bit more difficult for Mah, but he saw it as an opportunity to learn more about his culture. “Through the film I confronted the fact that I didn’t know my culture as well as I should have and I didn’t know my language as well as I should,” said Mah. 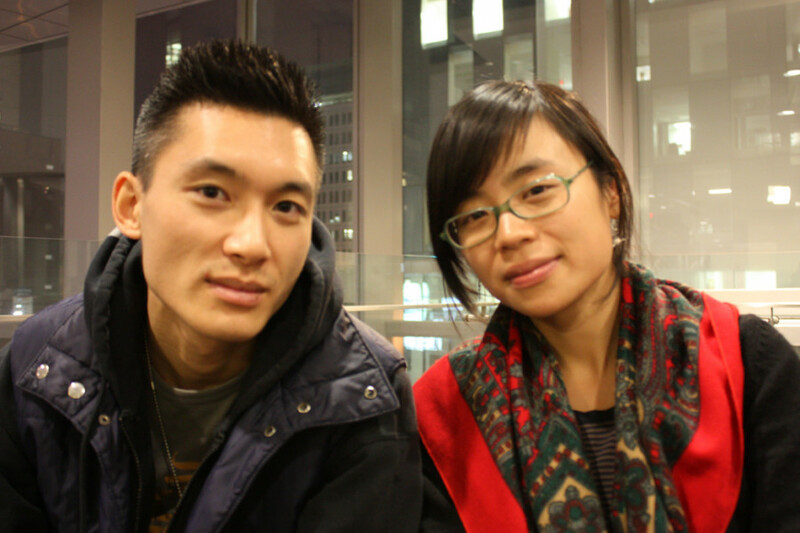 Interest in their community’s history has been an ongoing passion for Mah and Or, who both took part of the The New Voices Project at the Centre for Oral History and Digital Storytelling at Concordia University, which compiled written, visual and oral narratives of Chinese Canadians. The opportunity to participate in Guy’s film was a chance for them to further pursue their interests. The film covers a lot of ground in 70-minutes, with the duo starting in Montreal and traveling as far as Gaspé. They meet a variety of characters along the way, including an owner of a dépanneur who has a doctorate degree, a lawyer who participated in the movement to demand an apology for the Head Tax, a reflexologist in Charlesbourg and a history aficionado who knows a lot about Quebec City’s now-defunct Chinatown, just to name a few. The documentary will premiere Feb. 15, at the Montreal Chinese Community and Cultural Center, but for Mah and Or it is only the start of a much larger project which they plan to take on tour. “I think the film will have another life, which is to start the discussion of why it’s so hard to affirm your Chinese identity in Quebec, and what are some of the barriers that we face” said Or.